You've heard of gold nuggets, bronze nuggets, copper nuggets, and iron nuggets. But have you heard of chicken nuggets? 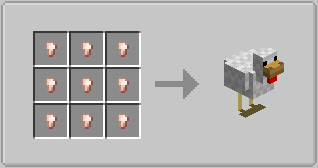 They work exactly like other metal nuggets, but instead of using an ingot, you use a chicken. They are of course convertible back and forth between nuggets and chickens. 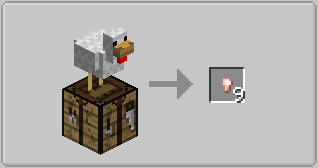 Useful for, I dunno, chicken storage. You can cook and eat them too; they can be consumed much quicker than normal food. NB: Make sure you have free space above your crafting table when you convert back to a chicken, or things won't end well. 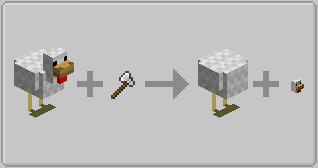 And it probably only works in a vanilla crafting table. Sorry. I'll just leave these images here. This mod is free software under the MPL 2.0. Yes, that means you can put it in your modpack. 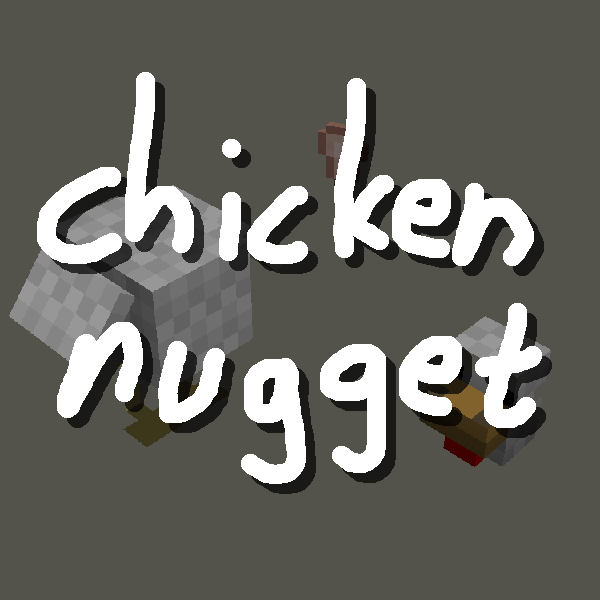 i want a cooked chicken mob now. I can't believe nobody has done this before! It's so obvious!